10 photographs to be exhibited at a big event. One photograph from each trip/location will be printed (archival quality) and framed for an event exhibition and sold for the projects benefit. Money from sold photographs at the event exhibition will be used to buy paper bags to be given to CP Groups 7-11 to reduce the use of plastic bags. 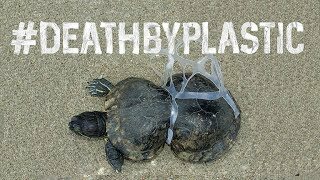 10 anti-plastic waste video documentaries - one from each trip - will be shared on social media. Our celebrities will help to do this, and this way take their audience with them on our journey. We have already made 3 of the 10 documentaries. Extra donated money will be used to take the exhibition do different cities in Thailand, to boost the campaign on social media, and to buy more paper bags for CP Groups 7-11. We are very grateful to have received so much support so far. A special thanks to Solvay Group also for their generous donation. Let's continue to spread the word and raise funds so we can achieve this project. The fund is growing and I receive a lot of calls and emails from people who would like to support our project. 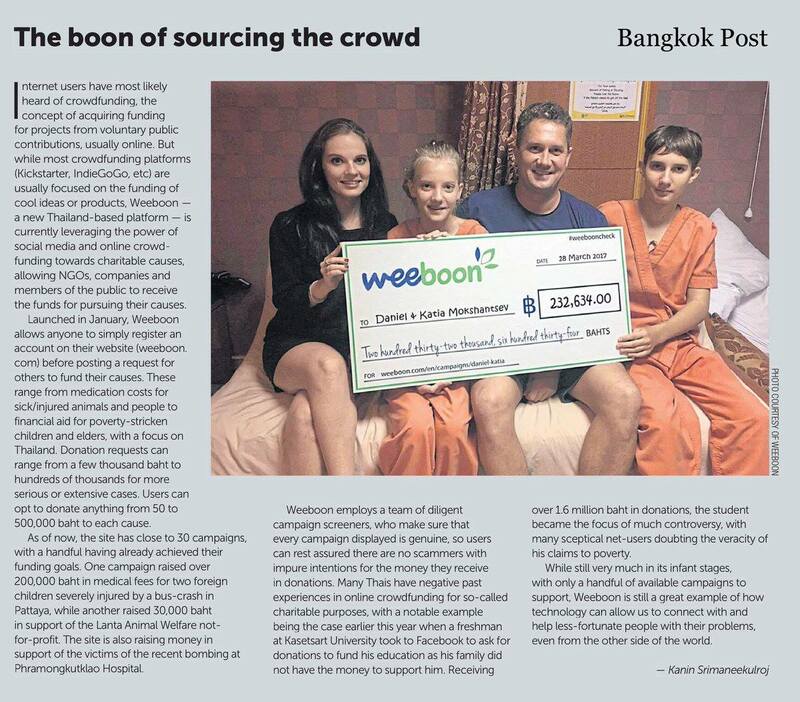 We have already been featured in several media outlets including the Bangkok Post and BK Magazine which is great. More episodes to come, stay tuned ! Please keep spreading the word by sharing this campaign and let's change Thailand in an even more beautiful country ! Very great project ! Finally someone who tries to address this big issue in Thailand. Hope you guys will make it. Pleased to support you further by having you as our guests if you travel in our rural area of Bang Rachan. Assisting local Temple schools and sharing your message with the children is another way we would be happy to help. The rewards of assisting others only allows us a token donation. I appreciate your work and what you do for our people. Thank you! Can't believe how many plastic bags people try to give me all the time. Great initiative. Bangkok is drowning in plastic garbage, it's great to see people working toward a change. Great projet ! I will share and support it. Hi Ben and team. Love what you do. Let me know how else I can contribute. A worthy cause, good luck to you and thank you for doing something about this problem that a lot of people care about but have no idea how to fix! I congratulate you in the work you are doing. I hope my small donation will help you in your quest. Every little DOES help! Education is lacking and the least we can do is try! This is something I am very passionate about. I am based in Korat. Let me know if there is anything else I can do to get involved.